L. Boyd Hatch was born and raised in Logan, but he made his fortune working in New York City in insurance, real estate and investments. 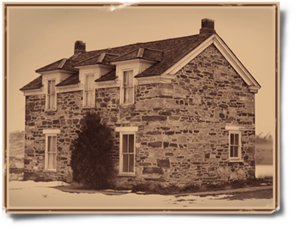 In 1948, he returned to the Logan Hatch Family Home and visited his grandmother’s old rock home, which had been converted into a private nursing home—and not a good one. The home was dilapidated, and not appropriate for the elderly Cache Valley citizens who lived there. Mr. Hatch said it was worse than the slums of New York City. Mr. Hatch proposed that a nonprofit foundation be established to care for Cache Valley’s senior citizens. 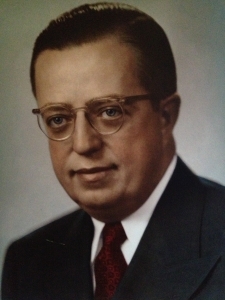 With the help of his brother, Adrian Hatch, he was able to get the nonprofit established for the purpose of finding a better location for Logan’s “aged and indigent men and women.” On October 20, 1948, an affidavit was filed creating the Sunshine Terrace Foundation. Adrian Hatch lived in Cache Valley as a successful businessman. He was always willing to help his brother with his local businesses. Boyd owned a ranch in Providence and “Hatch Camp” in Logan Canyon that Adrian helped manage. The Sunshine Terrace Foundation was started with Boyd’s desire, intent, and money, but it was Adrian that made it happen. Adrian convinced his friends, Guy Cardon and Norm Salisbury, to join the Board and Adrian handled the formation papers, renovations, and negotiations. Adrian was completely devoted to the Sunshine Terrace Foundation and whenever a problem arose, he would not leave until it was resolved. From the start, quality care became a hallmark of the service residents could expect at Sunshine Terrace. That tradition of care continues to this day. 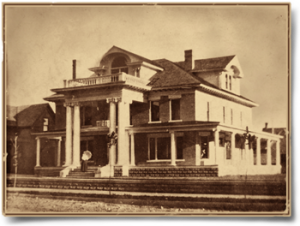 The first location of the Sunshine Terrace was at 290 West Center in a home built in 1905 by Charles W. Nibley. In 1948, Cache County was using it for another nursing home and agreed to let Sunshine Terrace operate the nursing home for an annual lease payment of $1. The Sunshine Terrace operated out of The Nibley House house until 1953. Even during its first years, it was apparent to the board and Superintendent, Elva Morgan, that the Nibley house was too small to house the growing number of residents. The Sunshine Terrace Board, with O. Guy Cardon as president, started raising funds for a new, larger facility. During their search, the board learned that a nurses’ home, owned by the LDS Church, might be available. The LDS Church was agreeable to renting the building and the county agreed to pay for remodeling and for some equipment. The new home was at 337 East, 220 North in Logan. Later, an additional wing was added to handle 15 more residents but soon, it too proved to be too small to handle the Sunshine Terrace’s growth. 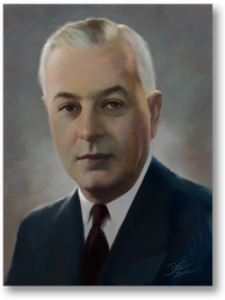 As early as 1963, President N. D. Salisbury was looking for a new home. In 1968 a new facility was built on a 2.18-acre plot of land on Second West between Second and Third North. The Sunshine Terrace is in the same building today, although several additions to the building through the years have made it much larger. Sunshine Terrace has always been pioneering. We started an Adult Day Center in 1984 where families could bring elderly members while the family was working. This program provided a rich environment of activities and socializing to keep seniors active and involved in life. But more importantly, the attention of health care professionals would improve the physical and mental health of many who visited during the day. The Adult Day program’s first director, Bonnie Smith, created a music therapy program that would get attention from other health care organizations across the nation. In 1997 the Adult Day program got a building of its own — the Kathryn Caine Wanlass Adult Day Center — across the street north of the Sunshine Terrace. While the day care program closed in 2008, the Wanlass center is now home to AquaWorx Physical Therapy & Fitness and Sunshine Home Health & Hospice. AquaWorx Physical Therapy & Fitness is an Outpatient clinic offering physical, occupational, and aqua therapy. AquaWorx also offers a fitness center for adults 40 and better with an exercise specialist on site and available to provide assistance at all times. AquaWorx focuses on physical exercise and offers equipment designed to protect the bodies of seniors. Our home health business began in 2010, offering nursing, therapy and aide services to patients in their home environment. Hospice followed in 2012, providing comfort care and symptom management for patients at the end of life. The Sunshine Terrace also opened the MaRee Clawson and Vernon Maughan Buehler Assisted Living Center. Residents who could no longer live at home alone, but were still well enough to handle many of life’s challenges, could move into this apartment-like environment where they had most of the freedoms of living at home, but where a team could provide meals, laundry service, recreation opportunities, room cleaning and help with other chores. In its 70 years, the Sunshine Terrace Foundation has grown from a small nursing home housing twelve women, to a campus of health services comprising short-term and long-term rehabilitation, assisted living, senior exercise, health education, occupational, physical and aqua therapy. The Foundation employs a staff of 335 and is one of the largest employers in Cache Valley. 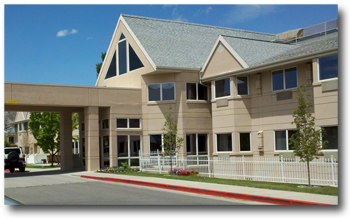 Sunshine Terrace Foundation has a reputation not only in Utah, but nationally, as an innovative organization with a strong commitment to quality care for the elderly. The residents of Cache Valley continue to support Sunshine Terrace much as they did 70 years ago. 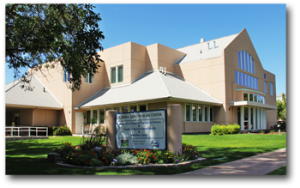 Residents still give of their money and their time through volunteering at the Foundation, and residents still recognize the need for a not-for-profit health organization in the valley. From board members, through administrators, nurses, CNAs, cooks, maintenance personnel, and others, the Sunshine Terrace Foundation has been blessed with bright, caring, capable people who have made the organization the success it is today.